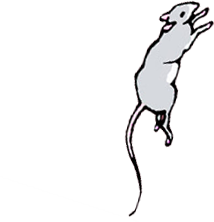 What might heart problems look like in a pet rat? How do the symptoms differ from respiratory symptoms? This pet rat was ill but his human and some vets could not identify why. 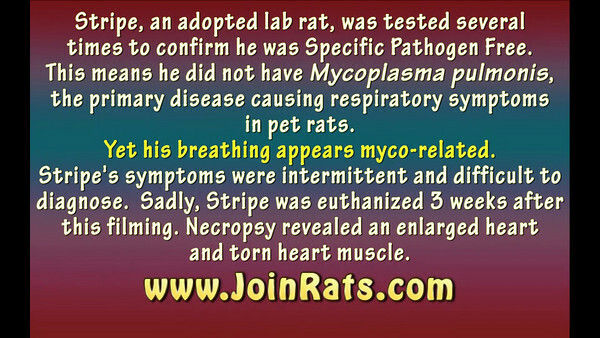 Part 1 of 2 of the 17-minute video of pet rat Stripe showing respiratory symptoms when in fact he had (undiagnosed) heart problems. Karen Borga filmed him during an "episode" and sent the video to a vet for diagnosis, because Stripe didn't always show symptoms. Stripe appears distressed, but then calms.